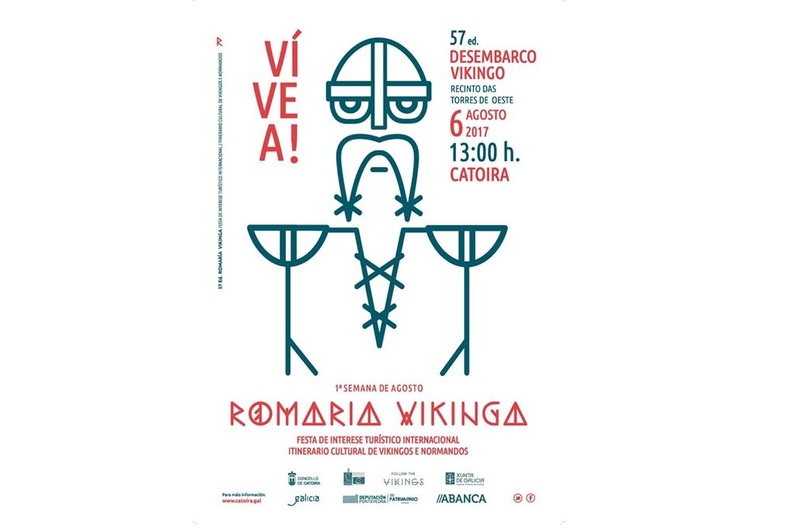 The Romería Vikinga de Catoira is celebrated, every year, the first Sunday of August. In this celebration, the inhabitants of the town and the thousands of people who come to it, staged the Viking invasions suffered a thousand years ago and remember the role that Catoira had in the defense of Galicia against those Norman attacks in search of the treasure of the Compostelan church (Catoira was already from the antiquity a strategic place of entrance by the sea until Compostela). This unique celebration, celebrated since 1961, begins in the morning and it is possible to see and hear musical performances in the streets and in the surroundings of the “Castellum Honesti”, current Towers of the West, and epicenter of the celebration. These towers, dating from the 9th century, are one of the most important archaeological and historical legacies of Galicia, since for centuries they resisted the attack of numerous armies, and nowadays they are preserved next to a hermitage dedicated to the Apostle Santiago. It is in this area where a medieval market is installed. At noon, the organizers of the celebrations offer mussels and wine. From there begins what is undoubtedly the main dish of the pilgrimage: the Viking landing. It represents the arrival of the invaders from the north aboard a Viking ship of the eleventh century, with the intention of taking the Towers of the West, which in turn are defended by the inhabitants of the town, thus producing a simulated battle where participants end up soaked in wine. After these acts, all enjoy a popular lunch (with octopus, empanada…), background sound of bagpipes, and already at night, the party continues with a popular party that is completed with numerous activities. Throughout the day, the town is full of people disguised as Viking warriors and Galician peasants of the time, which endows these festivities with a particular magic. Therefore, in 1988, the Romería Vikinga de Catoira was declared Fiesta of National Tourist Interest, and in 2002, it was declared Fiesta of International Tourist Interest. Likewise, and given that it is in these last twenty-five years when the party has acquired a greater growth and a great international projection, it originates the twinning of Catoira with the Danish town of Frederikssund. This year, the party will be on August 6th.